This new book presents both research (qualitative, quantitative, and mixed-design) and conceptual chapters about the ethical factors to be considered in teaching, administration, and professional practice in higher education settings. 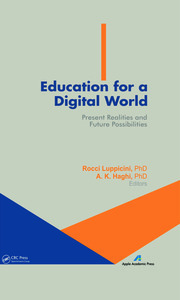 The book includes recent research-based ideas in the field of higher education. Topics include cultural competencies for higher education faculty, professionals, and administrators, such as use of language in communicating concepts to students for whom English is not a first language, avoiding imposition of bias, encouraging exposition of perspective, and ethical practices for professionals working with the diverse environments and populations in higher education settings. This work is particularly important since becoming informed on the latest approaches and ideologies is an essential component of both professional preparation and continuing professional development of faculty, professionals, and administrators in higher education. Currently, education practitioners struggle with finding time for professional development and ways to inform themselves of the latest research. This volume will help education practitioners keep abreast of the most important recent research. As college student populations and environments continually change, so must the practices of the professionals who work with them. This volume highlights some of the most recent practices and perspectives in ethics and cultural competence for all college and university personnel. This volume is unique and valuable because other books have addressed culturally competent ethical practices for discrete professions within higher education, no single work has a collection of writings about ethical and culturally competent practices for a variety of the professions in higher education. Bev Burnell is an associate professor in counselor education at the State University of New York (SUNY), Plattsburgh, New York. She also serves as the employee assistance coordinator for the campus. She teaches graduate students in the department’s three nationally accredited counseling programs, has served as the counselor education department chairperson, and as coordinator for the Student Affairs Professional Practice program. Some of her areas of professional focus have been student affairs practice in higher education, college students and environments, professional roles and identity, ethical practice, cultural competence, and transition processes for students with disabilities. Dr. Burnell has been an active contributor to the design and coordinates the graduate programs in teacher education and counselor education. She also coordinates the accreditation process for the Counselor Education Department. Dr. Burnell began her education career as a secondary mathematics teacher and worked for many years as a counselor in higher education settings. Heidi Schnackenberg is a professor in educational technology in SUNY Plattsburg’s Teacher Education Unit and is coordinator of the masters of science in education programs. She currently teaches both undergraduate and graduate classes on the use of technology to enhance teaching and learning in the P-12 classroom, social issues in education, ethical issues in educational technology, and childhood education courses as a member of one of the faculty cohorts in the BS program in childhood education. She previously taught in the graduate educational technology program at Concordia University, Montreal, Quebec, and worked as an instructional designer for both Intel and Motorola corporations. Her various research interests include the integration of technology into pedagogical practices, the legal and ethical implications of western technologies on non-western and third world cultures, and collaborative learning strategies within student learning communities. Dr. Schnackenberg recently designed and developed an extensive MyEducationLabs online supplement for the book Foundations of American Education: Perspectives on Education in a Changing World (15th edition). 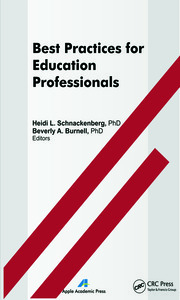 She also co-edited, with Beverly Burnell, the book Best Practices for Education Professionals. Dr. Schnackenberg began her education career as an elementary music teacher. "This edited book doesn't disappoint. . . . All of the conversations within this book are invaluable to anyone seriously committed to a high quality and profound social justice effort. . . . I read this book like a kid in a candy store, hungry for a specific type of tasty treat while discovering other delicacies I had never previously considered. I highly encourage you, the reader, to take the time to read, consider, and ultimately act upon the lessons learned from The Ethics of Cultural Competency in Higher Education." "Drawing from the perspectives of numerous experts, this text provides something for everyone interested in gaining a better understanding of the what, how and why of cultural competence in our nation's colleges and universities. . . . A useful and welcome addition to any higher education resource collection, and can be particularly helpful to teacher preparation faculty members. It examines the development of competence in both pre-service teachers as well as persons who will serve students enrolled in institutions of higher education. . . . Well written, well organized and clearly seeks to assist in the readers' construction of meaning. 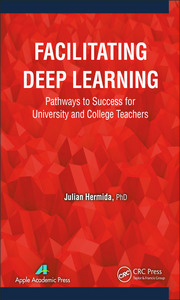 If there is a genuine willingness to examine and improve the cultural competencies of those who work directly with students, or those who create policies that directly impact students, this book will prove to be an invaluable blueprint for addressing the racial, cultural, gender and ability differences that comprise institutions of higher- education in the 21st century."